I’m currently suffering through a bad January cold. 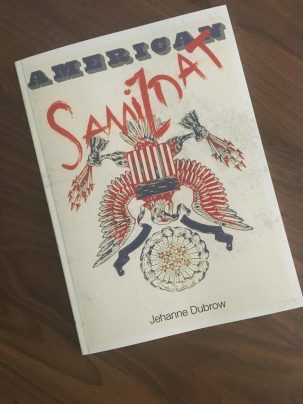 So, my mood was significantly lifted today when I found an advanced copy of American Samizdat waiting for me in my mailbox! The book won’t officially be released until the end of March. But, it’s already available for pre-order. So, if you feel like supporting your local poet, you can buy a copy here at the Diode Editions website.